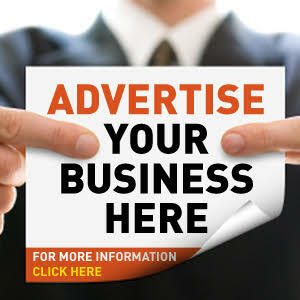 According to a shocking report on Sun UK, Real Madrid and Portugal football star Cristiano Ronaldo who is in a ''serious relationship'' with girlfriend Georgina Rodriguez, is expecting twins from a surrogate mother in the United States who he's paid millions of Pounds to hide her identity. 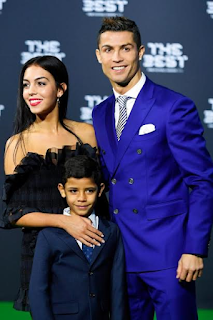 According to the report, the surrogate mother is set to deliver the twins drawing comparisons with Cristiano Jr, Ronaldo's son whose mother's identity is unknown till this day after reportedly paying her off too. 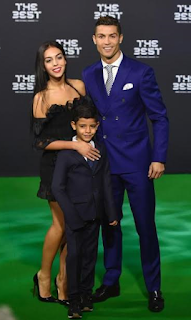 According to the report, Ronaldo's family is keeping the news of the imminent twins arrival off the ears of his son, Cristiano Jr, as the boy still doesn't know who his mum is and the family ain't ready to reveal the circumstances surrounding his birth yet, to him. FOOTIE superstar Cristiano Ronaldo is to become the father of twin boys, a family source has claimed. A surrogate mother based on the west coast of the US is heavily pregnant and is said to be expecting the babies “very soon”. The Real Madrid forward, 32, has told his inner circle that the twins will be flown to his £5million mansion on the outskirts of the Spanish capital. The source said: “Cristiano and his family can’t wait to meet the new members of their clan.